Map of the Caribbean on the back of the cards. 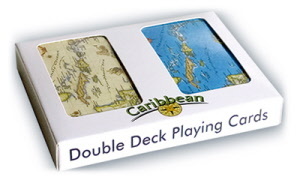 Standard face playing cards. 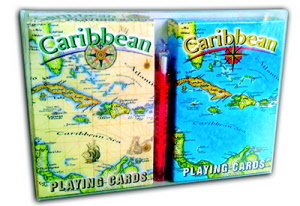 Map of the Caribbean on the back of the cards. 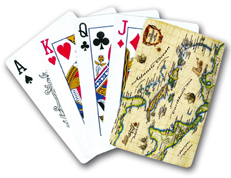 Standard face playing cards. 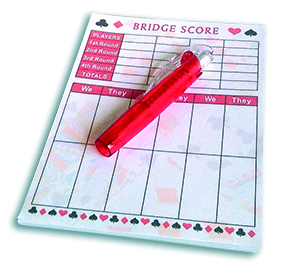 Two Bridge size decks.